“Robert Cording’s Heavy Grace tolls the bells. These are highly likable poems in which the pain of loved ones’ demises is wrestled into free-verse stanzas. Buttressing the elegies that form the heart of the collection are psalms of joy rooted in nature and fatherhood. . . . Heavy Grace is an unflinching and affecting treatment of painful subjects and ultimate themes. 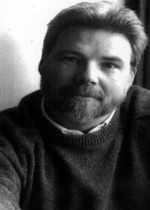 Robert Cording teaches English and creative writing at Holy Cross College where he is professor of English and Barrett Professor of Creative Writing. He has published four collections of poems: Life-list, which won the Ohio State University Press/Journal award, in l987; What Binds Us To This World (Copper Beech Press, l991), Heavy Grace, (l996) and Against Consolation (CavanKerry Press, 2002) He has received fellowships from the National Endowment of the Arts, twice from the Connecticut Commission of the Arts, and from Bread Loaf. In l992, he was poet-in-residence at the Frost Place in Franconia, New Hampshire. His poems have appeared in the Nation, Georgia Review, Kenyon Review, New England Review, Poetry, DoubleTake, Orion, Paris Review, The New Yorker, and many other magazines. He lives in Woodstock, Connecticut with his wife and three children. “Robert Cording’s work offers a subtle but unmistakable critique of Romanticism—or at least of the attenuated romanticism we’ve known in American poetry for 30 plus years. To that extent, it may be part of a broad contemporary reaction, in which unlikely factions (‘new narrative’ poets, postmodern poets, even language poets) vaguely collaborate. Yet Cording’s part in this general trend, supposing there to be one, involves religious vision. In an epoch whose authors are sentimental about their unbelief and about the primacy of their ungoverned selves, Cording demands a setting aside of the self, an emptying of the egoist vessel. Such an essentially humble pursuit of spiritual ends has not yet won Cording the reputation he merits. But for all that his poetry is perhaps as prophetic.